CBI’s annual Pharmaceutical Compliance Congress, which took place April 23rd to the 25th in Washington DC, featured industry leaders and government representatives espousing the usual best practices for building and maintaining an effective compliance program, but this year’s agenda offered a few surprises and changes in the regulatory wind. The notes below highlight some of the sessions we found to be particularly interesting and newsworthy. Following the opening remarks and a session covering politics and the pharmaceutical industry, the conference kicked into gear as Maggie Feltz of Purdue Pharma, Jennifer McGee of Otsuka, Jill Fallows Macaluso of Novo Nordisk, and Sujata Dayal of Johnson & Johnson discussed their process for “partnering with business” in the company to maximize the strength of their compliance programs. The panelists stressed the importance of establishing a relationship with business that is built on open dialogue and trust. Documentation is also key to that relationship and as one panelist pointed out, “the government cares about how you document that you are preventing issues.” It’s important to “shape the way you are perceived in the relationship by using business language,” she emphasized, and to measure your own effectiveness by simply determining whether business is inviting you back to the table. Your compliance program is only effective if you have a seat at that table. Once the partnership is established, you need to “get the business to think and talk about risk and conduct a benefit-risk analysis,” according to one panelist. Another reminded the audience that Corporate Integrity Agreements (CIAs) hold important clues about topics of focus for the government. This is particularly enlightening considering the recent Aegerion and United Therapeutics CIAs that dealt with third-party patient assistance programs, a topic discussed throughout the conference. In one of the more interesting moments of the conference, the panelists pointed out that the focus on off-label enforcement has shifted away from large pharmaceutical companies to smaller ones. According to one speaker, small companies and startups are under greater pressure to sell and to save money, especially if they are funded by venture capital companies. That leads to a higher risk of off-label promotion. Continuing a theme, prescription assistance programs and patient charities were addressed in relation to kickback risk. As stated, “any coordination between the charity and the company that shows the company is just trying to pay for its product being prescribed is a concern.” At least two current regulators supported the idea of self-disclosure and being honest about potential violations. “Being candid about where the compliance program has fallen short and the steps the company is going to take to correct the problem is important,” one of them said. The group of former regulators, who mostly now serve as industry counsel, touched on exclusion as a risk. While it may be considered a rarely-sought tool, prosecutors have the threat of exclusion available to them as leverage. They also delved into the importance of data and reminded the audience that prosecutors are indeed scouring Sunshine Act data. Attendees were provided five options for the first breakout sessions. The PAP and Hub Services panel was moderated by Jane Yoon of Paul Hastings LLP, and featured Peter Agnoletto of Sanofi, Sarah Whipple of Akebia Therapeutics, and Evan Bartell of KPMG LLP. The discussion began with a polling question asking attendees where the management of donations sits in their organization. Corporate Social Responsibility and the Grants Committee were the top answers. The question led to a discussion over best practices, with one speaker warning, “you at least need to take commercial out of any involvement with donations.” Another admitted that not having a say in how the money is spent is hard concept for the business to grasp but the separation is important. In the next polling question, attendees were asked if they monitor relationships and interactions with the foundations. 57% replied yes, and 28% said no. The panel reminded the audience that recent CIAs included the stipulation that those relationships are monitored. Another question was focused on sales representatives and their involvement with donations. 48% of the audience said their reps are provided with talking points. Panelists suggested that if the sales reps are involved, compliance needs to understand how the information is being used. Clear guidelines need to be established and the reps need to be trained on those guidelines. Angela Rodin of KPMG LLP and Laura Terrell of DLA Piper LLP presented the update on the status of off-label promotion trends and enforcement in the industry. Starting in 2012, enforcement shifted, as companies argued that off-label marketing is protected under the First Amendment and therefore cannot be prosecuted under misbranding provisions of the Food, Drug, and Cosmetic Act (FDCA). One presenter pointed out that while the government is no long pursuing off-label promotion as a stand-alone FDCA case, it continues to enforce False Claims Act (FCA) and Anti-Kickback Statute (AKS) cases related to off-label promotion. The bottom line is that even with strong support of free speech as a defense of off-label promotion, life sciences companies still need to be cautious. Clear and effective training is still needed. Elizabeth Kim of Loeb & Loeb LLP began the social media presentation with the underlying premise that while the digital landscape has changed dramatically over recent years, the legal landscape remains the same. Even on social media, promotional statements cannot be false or misleading and communications must be consistent with labeling and fair-balanced. Social media is challenging, the presenter stressed, because it promotes a dialogue, which means the company has a lack of control over the conversation. But there are some steps companies can take that at least help with the control. The ability for readers to comment on posts can be turned off on Facebook. No such control exists with Twitter. In addition, key words can be flagged on Facebook to help monitor comments. Unfortunately, as the presenter noted, most companies lack the resources and personnel to properly monitor social media outlets. The FDA’s Office of Prescription Drug Promotion (OPDP) has issued 233 warning letters over the last ten years for omitting information, minimizing risk information, and overstating efficacy claims on social media. As existing platforms evolve, and new ones appear, the need for updated training to ensure your field-based employees are abiding by laws like the FCA and FDCA, as well as OIG guidance and the PhRMA Code, is critical. The session began with the audience being asked to provide feedback on which of two compliance posters they thought were more effective. Essentially, one reflected a “rules-based” approach, and the other a “values-based” one. The values-based poster was the more popular choice and the content of the session supported that approach. The underlying premise behind the ethical nudges is that “people become ethical by doing ethical things.” Ethical nudges were essentially defined as “interactions based on the understanding of internal decision-making to promote desirable choices.” They included “read and affirm” documents presented right before a critical HCP interaction, visual cues like signage and posters, and micro-training launched strategically in conjunction with the need for ethical decision making. The key points of this session were no surprise considering the oft-repeated focus of recent CIAs. BJ D’Avella of Deloitte and Touche LLP and Seth Lundy of King & Spalding LLP reminded attendees that “the focus of CIAs had shifted to interactions with patients, and more than ever, companies need to have a Risk Assessment and Mitigation Plan (RAMP) in place.” That RAMP needs to include activity-based risks in addition to the usual product-based risks. One of the presenters pointed out that the OIG is focusing on a “smaller number of CIAs that send messages to the industry.” He reminded the audience that CIAs are not laws, but they are a strong indicator of where to focus risk mitigation efforts. CCO Scenario Symposium – What Would You Do? Heather Johnson from the Federal Trade Commission, Sally Molloy from the Department of Justice, and Eric Rubenstein from the OIG presented their suggestions for companies to keep their compliance programs attuned to current regulatory challenges. On the topic of bribery for example, one presenter suggested that “internal controls need to be robust and designed so that they are not siloed. It’s all bribery.” Another emphasized that recent trends point to Medicare and Medicaid fraud as a primary source for qui tam cases. Beyond the Seven Elements of and Effective Compliance Program – What Else Are You Doing? As a compliance training company, this session, featuring Jerald Korn of Tesaro, Chad Morin of bluebird bio, and Gregory Moss of Kadmon Holdings, held particularly interest for us. As one presenter stated, “creating a brand for the compliance department is a fun way to convey important information.” That holds true for the training as well, and we work with companies to create a continuous, engaging, and “fun” curriculum. The panel pointed out that state laws fall into three categories; drug pricing transparency, aggregate spend laws, and sales representative licensing and reporting laws. The landscape across all three changes quickly and they expect 2018 to be as busy as 2017. In recent state-related news, Maryland’s law was found to be unconstitutional and according to one panelist, that “has quieted some of what other states have been considering.” Oregon was brought up as the most challenging law since it “requires documentation to support your documents.” In New Jersey, where the law was passed on the last day of the outgoing administration, one speaker mentioned that Governor Murphy’s team is considering major changes. On the drug pricing front, the panel expects two or three more laws to be implemented. I close with what may have been the best session of the entire conference! (okay, I may be a bit biased since this panel included my colleague, and head of PharmaCertify, Dan O’Connor.) Dan was joined by Chad Morin of bluebird bio and Laurie Kathleen Durousseau of Rigel Pharmaceuticals. The session focused on how compliance professionals can best focus their time and energy toward those activities that are most critical during the various growth stages of a life science company from pre-clinical to established. Starting with a quick poll of the audience, the panel first determined the average size and stage of companies represented. Most of the audience members were an “n of 1” compliance department in a company with 200 or fewer employees that is in the “Clinical” or “First Product” stage. The panel then shared their suggestions for which compliance-related activities to prioritize during each growth stage. In the “first product” stage for example, aggregate spend transparency reporting; government price reporting; specialized training by function; and patient support program design were discussed, among other topics. The panelists also covered the need for small departments to partner with the business, as well as other departments, to spread the resource load and accomplish the objectives of each stage. For any compliance department challenged with limited resources and personnel, it was a worthwhile thirty minutes of learning. If you missed the conference, Dan would be happy to provide his perspective on the topic. Feel free to contact him at doconnor@nxlevelsolutions.com. The world of life sciences compliance is changing, and so is CBI’s Pharmaceutical Compliance Congress. This year’s conference presented a compelling balance of traditional content that newcomers to the field should find valuable as a base of knowledge, with enough updates on key areas of regulatory focus (off-label, patient assistance programs, state laws, etc.) to keep the seasoned compliance professionals in the audience satisfied with agenda. It also offers industry professionals a rare opportunity to meet face-to-face with their peers and hear best practices for strengthening their compliance cultures and reducing risk. I highly recommend the conference next year for chief compliance officers, specialists, managers, and anyone working in the life sciences compliance training industry. Kudos to CBI and all the presenters! Attention students! This week in the news: an opioid marketing Warning Letter; more state level transparency requirementss; and Novo Nordisk learns a tough lesson about product marketing. The wheels on the bus are going ‘round and ‘round for children all over the country. School is back in session. Time to sharpen those pencils (do kids still use pencils?) and organize that Trapper Keeper. Sorry kids, but we kind of like this time of the year. After all, the deals on office supplies can’t be beat! Can one ever have enough index cards and three prong folders? While we go bask in the glow of our school supply haul, we’ll leave you with a little reading assignment: the latest edition of the Compliance News in Review. Opioid manufacturer, Cipher Pharmaceuticals, didn’t have a letter sent home by the teacher, but it was issued a Warning Letter by the Office of Prescription Drug Promotion for misbranding its drug, ConZip. The company licenses the drug to Vertical Pharmaceuticals for sales. The letter references a sales aid that failed to disclose the risks associated with use of the product. Don’t offer the teacher too many of those apples…at least in New Jersey. In the Garden State, Governor Christie wants to place restrictions on transfers of value to HCPs. The regulation limits compensation for “bona fide” arrangements up to $10,000 per year. It requires the arrangements to be in writing, with the HCP’s qualifications clearly stated in the agreement. The regulation also prohibits receipt of lavish meals, gift cards, and other items of a personal benefit to HCPs. Exclusions are made for payments for speaking at CME events and provision of items for patient education. The regulation will be published to the New Jersey Register in early October and a public hearing is scheduled for October 19. Two industry trade associations are putting their civics education to work. PhRMA and BIO have filed suit against Nevada over the state’s transparency law. The groups claim the law is unconstitutional, and is preempted by federal law, and they have asked the court to put a halt to the implementation or enforcement of what they consider to be the problematic parts of the law. A representative from BIO said the law effectively establishes price controls on diabetes medication, which in turn will reduce private investment in biomedical innovation. A PhRMA representative said the law is unconstitutional because it conflicts with federal and state laws that protect intellectual property and trade secrets. The city of Chicago is jumping onboard the drug pricing transparency bus. An ordinance has been proposed that will require manufacturers to report price increases 90 days in advance of sales. The ordinance also proposes the establishment of a Prescription Drug Price Review Board to monitor prices, and a hotline for the public to report information about price increases. Novo Nordisk agreed to pay over $58 million to settle allegations it violated the Food, Drug, and Cosmetic Act (FDCA) and the False Claims Act. According to the DOJ, sales representatives downplayed or mislead HCPs about the risk of a rare cancer associated with the use of Victoza when detailing the drug to healthcare professionals. The company will pay $12.5 million in disgorgement for violating the FDCA, and $48.5 million for violating the False Claims Act. With that, the final bell rings on this edition of the News in Review. We hope the return to the post-Summer school routine is a smooth and seamless one for all involved. We’ll see you around the schoolyard during recess with another edition of the Compliance News in Review. Insider trading baseball; PhRMA changes the rules; shorter FCPA investigations; praise for Medicines Australia transparency efforts; and a Chinese television drama all about anticorruption. The heat is on in this edition of the Compliance News in Review. The “official” start of summer is just around the corner and the sun, sand, and ‘squitos will be here before you can say “turn up the air conditioning.” Considering the late winter-like weather many have been experiencing around the U.S. (we feel your pain Colorado), a little heat and humidity sounds like a good idea. Before we restock the sunblock supply and head for the beach (or “down the shore” if you happen to reside in New Jersey), let’s review what has been heating up the newswires, with this issue of the Compliance News in Review. A former “boy of summer” Doug DeCinces, was found guilty of insider trader for acting on non-public information related to the sale of a medical device company. Prosecutors claimed the former major league baseball player received information from his neighbor, the CEO of a medical device company, about the pending sale of the company to Abbott Laboratories. Prosecutors claimed DeCinces, who was found guilty on 14 felony counts, made stock trades based on the information and tipped others about the sale. His lawyer plans to file a motion for a new trial. The heat is on at PhRMA. New rules regarding membership in the organization went into effect recently, and promptly led to the ouster of several companies. The new rules require member companies to spend at least 10% of sales on global research and development over three years. Companies must also spend at least $200 million a year on research. Seven companies were unable to meet the new requirements and lost their membership. Some doctors felt the need to share their warm feelings for Medicines Australia’s transparency efforts. A pair of physicians, and the leader of the Greens party, who is also a doctor, penned a letter to the Australian Medical Journal, praising the organization’s move to increase transparency in industry/HCP relationships. The letter suggests that pharmaceutical and medical device companies follow Medicines Australia’s lead. As the summer days grow longer, FCPA investigations could be getting shorter. During a conference, Trevor McFadden, acting principal deputy assistant attorney general, for the Department of Justice, expressed his hope that future FCPA investigations will “be measured in months, not years.” FCPA thought leaders believe that narrowing the self-reporting window will help control the scope of investigations, but interviewing witnesses in foreign countries can be time consuming. A television program focused on anti-corruption in government is heating up the Chinese airwaves. The Chinese government usually bans artistic endeavors related to anti-corruption, but the drama, In the Name of the People, has the support and “green-backing” of the government. The show follows the story of an upstanding detective who investigates government corruption in a fictional Chinese province. The program is the top show on Chinese television, and nearly a dozen similar programs are in production. The focus on anticorruption efforts around the world continues to grow. Does your training extend beyond the FCPA to cover countries like China, Mexico, and Brazil? The newly update Compliance Foundations™ eLearning module, Global Anticorruption Laws introduces learners to the regulations, and the affect they have on their daily work lives and the pharmaceutical and medical device industries in general. Contact us to see a content outline or demo. The 14th Annual Pharmaceutical Compliance Congress featured an array of industry leaders, regulators, and legal consultants offering best practices, tips, and first-hand experiences related to reducing risk and strengthening compliance programs. This summary is focused on Day 1 of the conference, which featured a robust array of general sessions and breakout panels. Pre-conference sessions were held the day before, and included Accelerated Learning — Healthcare Compliance and Policy Applications, which featured a panel of industry subject matter experts, including Dan O’Connor, Senior Vice President for PharmaCertify™, covering the topics those new to life science compliance need to understand in order to establish and maintain an effective program. Jim Massey began his comments by recounting the recent United Airlines story related to the passenger being forcefully removed from a flight and the company’s public relations missteps in the immediate follow up. The core of the problem, as Massey saw it, was that United employees were strictly following rules and not making decisions for themselves. At AstraZeneca, Massey and his team have instituted a true rules-based in which they “trust their people and not just the policies.” His goal was to simplify the policies as much as possible, so much so that the company now has a one-page Code of Conduct. Michael Shaw followed in agreement, stating his belief that “complexity creates more risk rather than mitigating risk.” He used the example of speaker programs and the value of narrowing the policy down to kickback risks and communication risks. The concept of a values-based approach to compliance has been discussed at length over the last ten years of the Pharmaceutical Compliance Congress, but this was the first time I heard the presenters offer such concrete and compelling examples and case studies of how their companies put the idea into practice. So much so that, throughout the day, other industry professionals and government regulators repeatedly referenced their comments to emphasize and highlight their own points. It was an illuminating presentation. Next, compliance officers from Alexion Pharmaceuticals, Johnson & Johnson and Merck focused on data privacy and shared their thoughts on the proverbial question of “what keeps them awake at night.” For one presenter, that answer was tied to global risks (another common theme throughout the conference) and for another, it is more about the risks that “have not yet been identified” and that’s why regular risk assessments are so important. In a nod to representatives from smaller companies in the audience, that same presenter warned them not to over-engineer the risk assessments too much and to, “follow the money, and focus on the company’s business plan” to help identify the risks. The presentations shifted to the point of view of the industry as a panel of U.S. Attorneys took the stage for the Top Enforcement Trends and Focal Points for 2017 and Beyond session, which was blended with the former prosecutor’s panel, New Developments on High-Profile Cases and Settlements Uncovering Healthcare Fraud. Unexpectedly, the discussion began with a sobering discussion about the opioid crisis in America, with disturbing statistics on the alarm growth of addiction rates and overdose deaths. It’s not a topic the audience necessarily expected, but it’s one that needs to be discussed, as regulators and the healthcare community seek answers to this frightening scourge that crosses all socioeconomic borders. The numbers are disturbing, and the panelists emphasized that “everyone is working together to figure out where the over-prescribing is coming from,” and “anyone involved in the distribution chain must have a program in place to help detect misuse and abuse.” They’re comments were punctuated by a reference to the recent McKesson case, in which the company paid $150 million to settle claims that it failed to put a system in place to detect suspicious orders. After the lunch break, I joined the Promotional Compliance content stream, which began with Tom Abrams of the Office of Office of Prescription Drug Promotion, and his annual Hot Topics, Guidance, Enforcement Trends, and Warning Letter Review session. Tom detailed the recent Tuxarin ER warning, which focused on a series of troublesome product claims, including the suggestion that the product is safer than its competitors based on differences in dosing formulation and safety profiles of individual ingredients. He also provided a review of the recent Draft Guidance of Medical Product Communications That Are Consistent With the FDA-Required Labeling. The guidance explains the FDA’s current thinking on common questions about the topic and explains that the agency does not consider communications that are consistent with the FDA-required labeling to alone be evidence of a new intended use. A full list of recent warning letters and guidance documents are available on the FDA’s website. Transparency and full disclosure are key and includes the good and the bad in terms of how you promote. She also touched on the recent Arizona off-label law knows as the Free Speech in Medicine Act. At least one institution, the Goldwater Institute, wants to encourage other state legislatures to consider similar legislation, but the law is federally pre-empted, so at this point, it is a symbolic step. The panel sessions and presentations covered above represent only a portion of the guidance and valuable information offered throughout this year’s Pharmaceutical Compliance Congress. The conference is always chock full of content applicable to those new to the field of life sciences compliance, as well as experienced professionals seeking the latest in best practices, suggestions, and guidance from their peers, consultants, and regulators. This year’s agenda and presenters did not disappoint. We’ve come a long way in life sciences compliance training in a relatively short time. Fifteen years ago, the common approach to compliance training often involved lawyers from the legal department, using PowerPoint slide decks to train large groups, once a year at POA sessions. Somewhere along the way, the industry recognized the importance of instructional design, and the power of technology, as the focus shifted to eLearning and the on-going search for ways to use it in an engaging and creative manner. That pursuit continues. Instructionally-sound, creatively-scripted eLearning still represents an effective method for training large groups across a company, but to truly reduce risk, micro-learning concepts need to be strategically integrated to your curriculum. More targeted training, focused on specific subjects, and smaller audiences, is key. Let’s use anticorruption training as an example. Anti-bribery legislation is on the rise around the world, and the increasing risks associated with the growing number of laws requires a comprehensive approach to your anti-bribery/anticorruption (ABAC) training. Core ABAC training, by nature, needs to address an expansive topic list, and it needs to be targeted to audiences as diverse as sales and marketing; medical affairs; regulatory; logistics; and manufacturing. Once that core training is launched though, the audiences that represent the highest risk (i.e., sales and marketing), and the topics that present the greatest risks to those audiences, (e.g., third-party red flags) need to be identified. As one example, deploying a smaller module on “recognizing and reducing third-party red flags,” to the sales and marketing audience after the broader ABAC module is completed, reduces risk for the one audience that has direct contact with third-party intermediaries. Micro-learning doesn’t have to end with mini-modules. Employees are seeking information and training differently than they did back in those PowerPoint-driven years. Tools such as infographics and scenario-based video sequences offer more opportunity to make the focused learning stick, especially when spaced appropriately across a learner’s timeline and blended with other learning components. In addition, reinforcement doesn’t end with training. Apps offer an ideal method for delivering “just-in-time” reference content where the employees need it most – in the field and at their fingertips. In this case, offering access to a list of red flags, and tips for how to identify them, would drive down the risk for that sales and marketing audience. 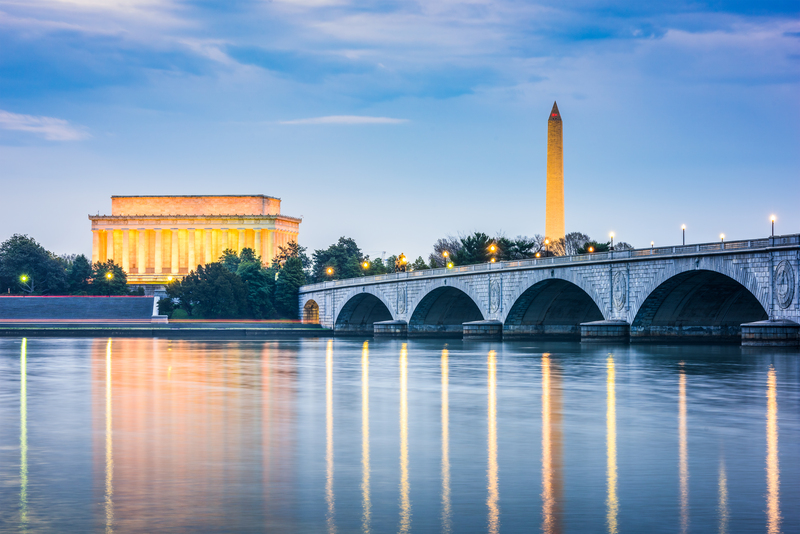 The PharmaCertify team will be exhibiting at the 14th Annual Pharmaceutical Compliance Congress in Washington April 26-28. If you’re attending, stop by Booth 10 (it’s back there where CBI keeps all the good food!) to share your ideas for reinforcing compliance learning in your organization. After all, we’re compliance learning geeks – we want to hear them! And don’t miss Dan O’Connor, Senior Vice President for PharmaCertify™ at NXLevel Solutions, as he and his co-presenters offer a conference prelude session on healthcare compliance and policy applications.